All day, every day. Food served until 9pm daily. Recently renovated pub with fantastic food and selection of ales and gins. Lovely south-facing beer garden and cosy bar area. 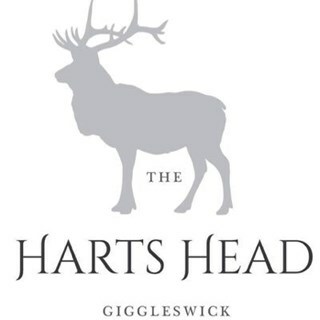 Been visiting the Harts Head since the Black Horse closed last September (2018). Hearty pub food, well presented and piping hot. We'll continue dining here! Great food and friendly staff, would definitely recommend eating here if you are visiting Settle or Giggleswick. Hi - we booked a table for 3 of us at 7.30 on Saturday night & didn't have a great experience so wanted to give you some feedback. We arrived at 7.30, checked in with the bar staff and said we would have a round of drinks first and then go to our table. We had our drinks in the bar and then went to the table at 7.50. The waitress came to take our order and we were told that because there was a very large party (of maybe 12) who had put their order in first our food would not be served till an hour later as there were only 2 chefs. Pretty poor given we had booked for 7.30. I spoke with one of the waitresses about this who said that it was because the large party's order had gone in before ours. Had you told us when we arrived that it would be best to go straight to the table as there was a big party we would have done this. I don't think it is acceptable to have booked a table and then be served over an hour later. The staff did offer us all a free glass of wine to compensate for this - but the fact is our experience was not great and we will be hesitant about coming back. The decor was pleasing and the ambience good. The food was very good and portion size much more reasonable than in many Yorkshire eateries. Five star service. Food Drink and Atmosphere as always. 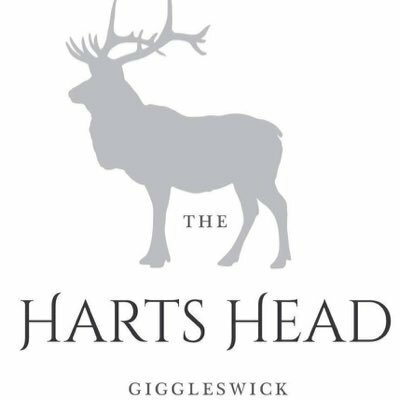 We eat at The Harts Head regularly and are never disappointed. Your staff are lovely and always make us welcome. If we are taking friends out for lunch or dinner we always know we will have a lovely time. Never any guesswork consistently good. Recommend you to lots of people! Very efficient service, friendly staff and quality of food excellent and great value! Will recommend to friends and family! Recommended by a friend and was not disappointed. Friendly staff and lovely surroundings. Food was delicious. We had smoked mackerel, slow cooked pork cheek, lamb rump and bavette steak. Washed down with rhubarb gin and elderflower tonic. All for just over £50! Excellent value. Always enjoy going to the Harts Head. Welcoming staff and nice atmosphere. Delicious food and generous portions. Good children’s meals too. We were made very welcome by the staff and met with the chef to arrange a lunch party later in the year. Lovely meal, great menu, see you again soon.